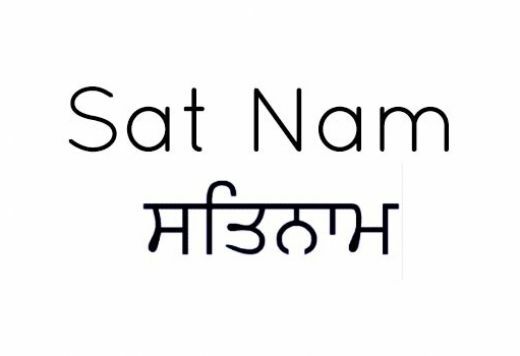 While most mantras we are familiar in the West are written in Sanskrit, Sat-Nam is unique in that it originates from the Sikh sacred text known as the Guru Granth Sahib, which is written in the Gurmukhi script of the Punjabi language. The Guru Granth Sahib is a collection of hymns which outlines the nature of God, as well as a code of ethics and morality that one must follow in order to attain unity with God. Sat-Nam is one of the most heavily repeated phrases throughout this text, reminding its readers to recognize the divine truth within one’s identity. Chant this mantra at the end of your next yoga session to connect with your true nature, and to remind yourself that the nature of God can be embodied through the human soul, mind, and body. This entry was posted in Mantra Monday and tagged DTO music, Gurmukhi script, mantras for the moment, Monday Mantra, Sat Nam, Sikhism, Yoga Mantra. Bookmark the permalink.